Due to popular demand, Read It in Hebrew , the cutting-edge five-week Hebrew reading crash course, is back for another season, just in time for the High Holidays! No one will be turned away due to lack of funds. 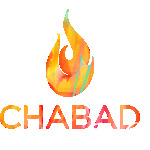 Contact us at Chabad@JewishSnohomish.com for more info.